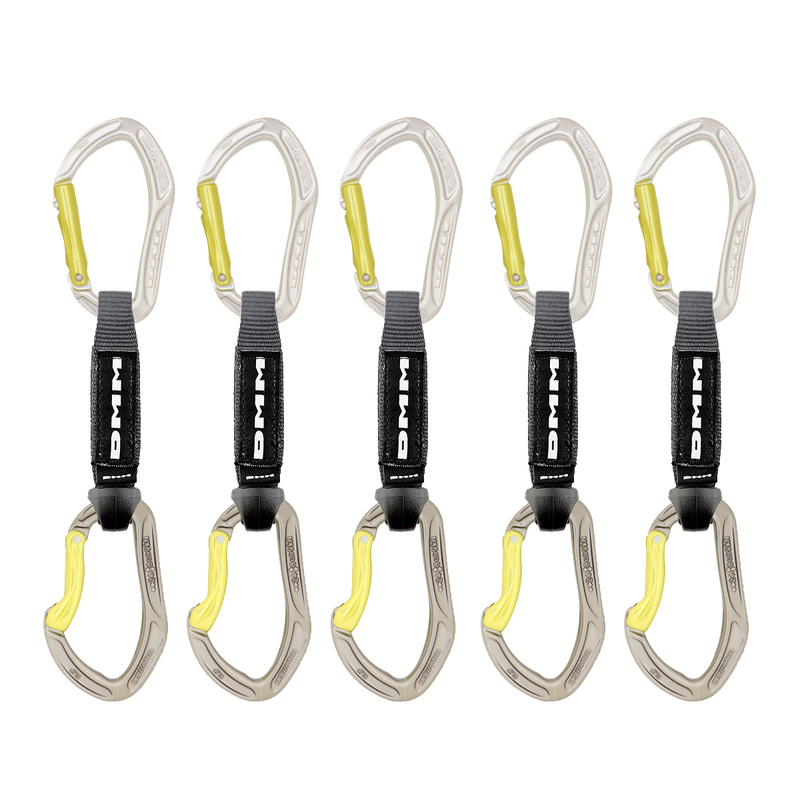 Can I use my Alpha sport quickdraws for trad climbing? When Dmmdesigned the Alpha Clip they were determined to produce the most ‘clip friendly’ biner ever made. The bent gate, with its flared-out barrel shape works in perfect harmony with the kinked and groove-patterned back bar. It just feels so right, handles so well, and most importantly the rope always goes in first time. Try it out and you’ll see what we mean. The Alpha Clip is available as the Alpha Sport Quickdraw. This combines the Alpha Pro at the bolt/peg end and the Alpha Clip left to handle the rope. A sport quickdraw can get a lot of abuse, particularly on redpoints where repeated falls are taken; with this in mind we made a robust sling section to suit the situation. The 26mm variable width nylon gives the perfect set up. It is easy to grab if you are bolt-to-bolting your way up to the belay during a redpoint practice session. The sling also tapers down to a neat 16mm ensuring it sits securely in the crook of the biner and always loads correctly.